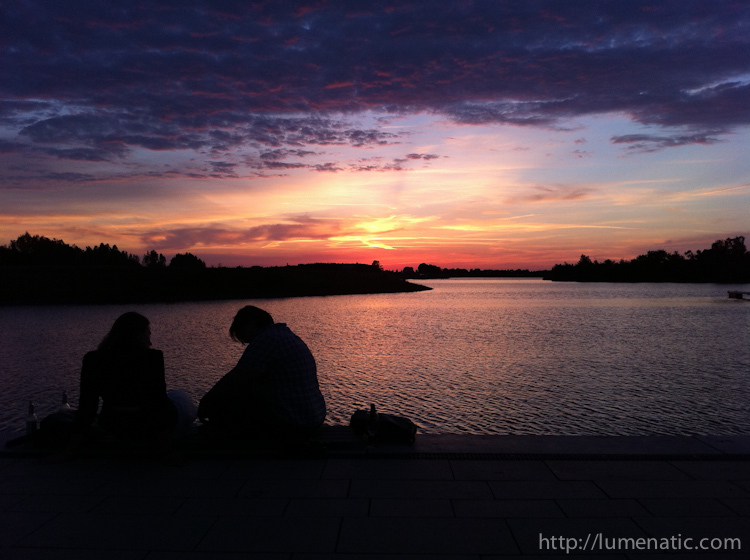 Three weeks ago we spent an extended weekend in Xanten at the river Rhine. Xanten is about a 1.5h drive from Aachen and has, like Aachen, a rich history connected to the Romans. Xanten was a thriving Roman city of strategic importance its roman name was Colonia Ulpia Traiana. The largest legion north of the Alps was stationed here. Two complete legions, over 12.000 legionnaires housed here and secured the border (= river Rhine) against the “barbarians”. After the Roman Empire ceased to exist the Roman city of Xanten was abandoned. Unlike in any other old Roman city, the people did not build their new city on top of the Roman city, but right next to it. The reason for this can be found in the fact, that the grave of a christian martyr, the holy St. Viktor, were located in a shrine outside the Roman city walls. The christians wanted to be close to the saint and built their city around the chapel, which evolved to be the cathedral of Xanten. Viktor was a roman soldier, who refused to sacrifice to the Roman gods but believed in the christian god instead. To make an example he was executed along with all his soldiers of his cohort. The people used the roman city as a quarry and slowly the roman remains vanished. Today the old city is an archeological park with a huge museum and roman remains wherever you sink the spade into the ground. 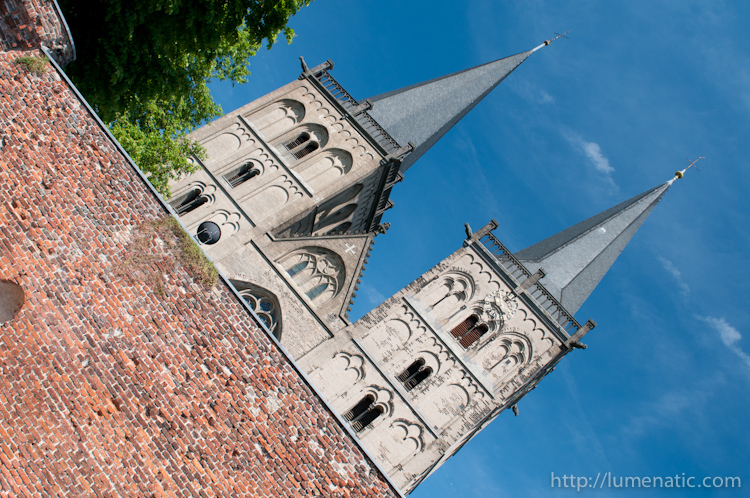 This is Xanten cathedral, the place where the remains of St. Viktor are buried. 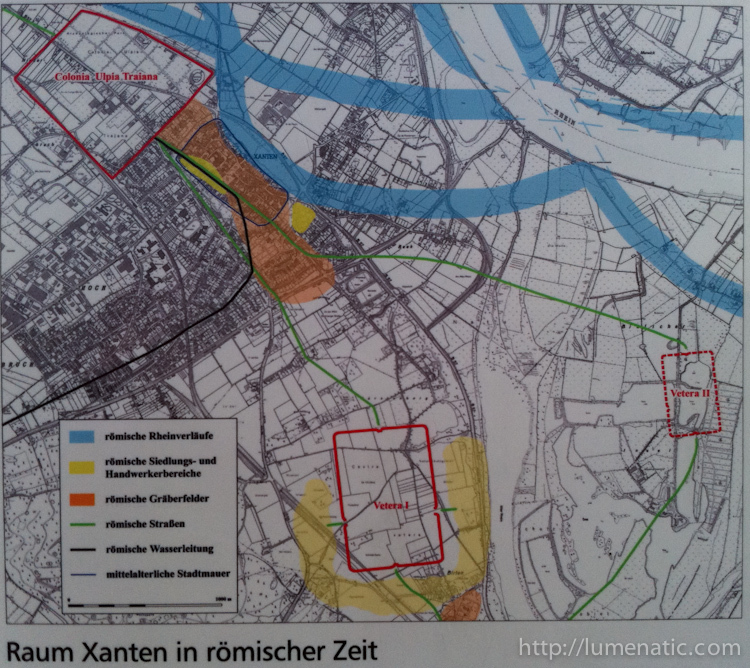 Map of today’s Xanten (the gray rural area shown up left) and the location of the roman city Colonia Ulpia Traiana (red area top left). 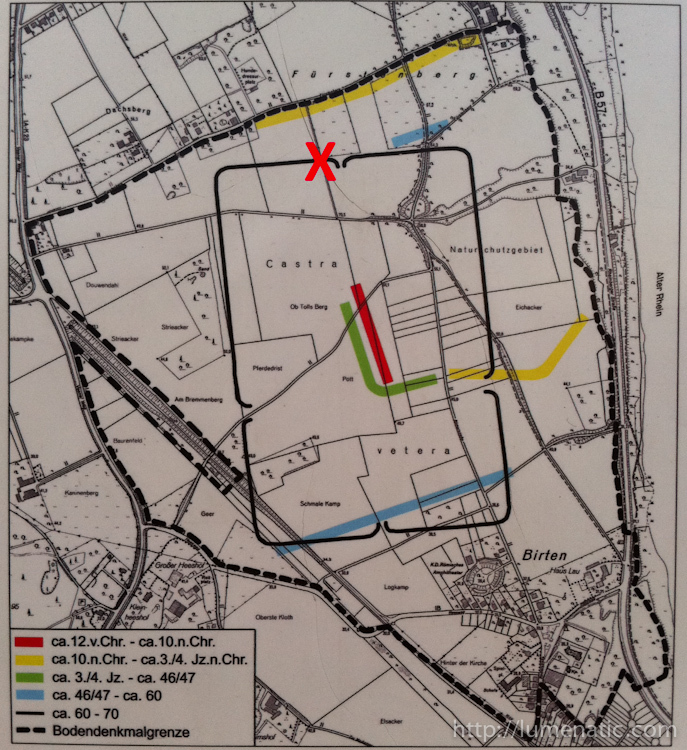 The huge legion camp Vetera I is shown as a red area, bottom middle. This is what the area of the legion camp Vetera I looks like today. 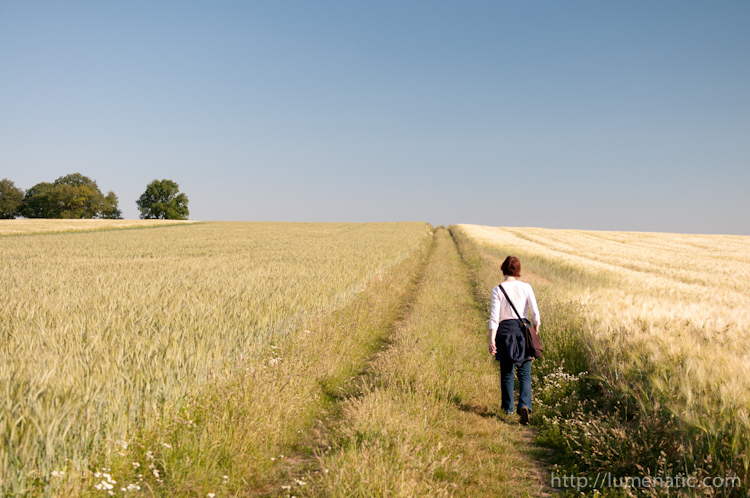 Just fields. Once there were 12.000 soldiers stationed on these very fields. There were trenches, gates, towers, walls, buildings, warehouses, roads. Today it’s just crops. We searched for a sign of the camp but found nothing which gave a hint to that former structure. Nothing – except one slight hint. We went to the point which I marked with the red “X” in the picture. What we saw there can be seen in the next photo. This is the exact point where the trench/wall system must have run. One can observe that the crops are growing higher on a strip approx. 2 m wide. This is where the trench was ! 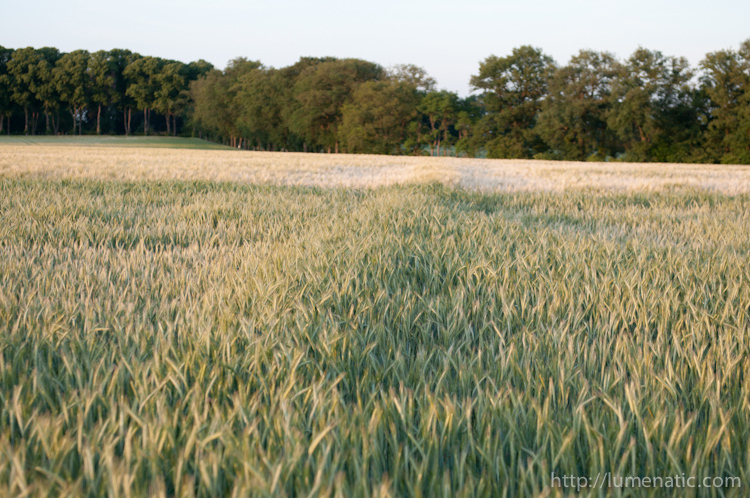 After the romans left the trench filled up again, but the soil never regained the compactness or the surrounding area. So the earth is not so dense here, thus it can store more water, ergo the crops growing on this patch have more water to grow. The opposite effect can be observed when there are stone foundations buried in the earth. Because of the stone not so much water can be stored locally and the roots can not penetrate deep enough. There the plants do not grow so well. If this topic is interesting to you, visit this site on aerial archeology in Britain or Google the topic. It’s fascinating what can be seen from the air. Structures several thousand years old still affect the ground today. Besides the Vetera I legion camp Xanten has to offer many other interesting sights and stories. For example, we went to the thermal baths which have been excavated. To protect the remains a steel and glass sacrophagus has been placed on top of the remains. 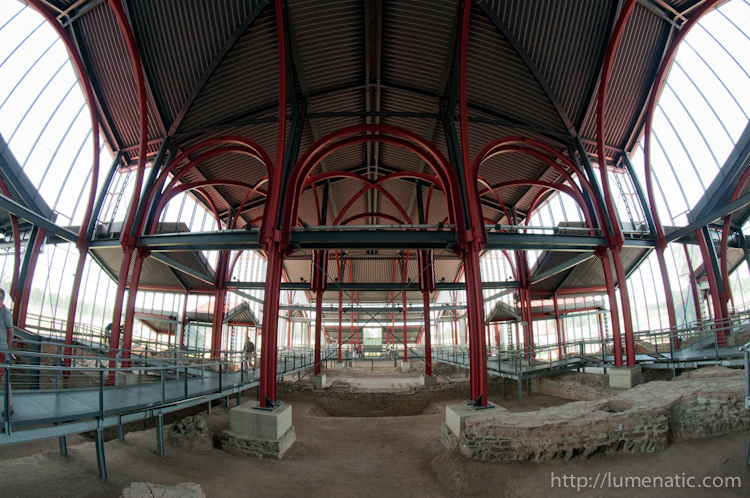 This is what the museum and the baths look like today. 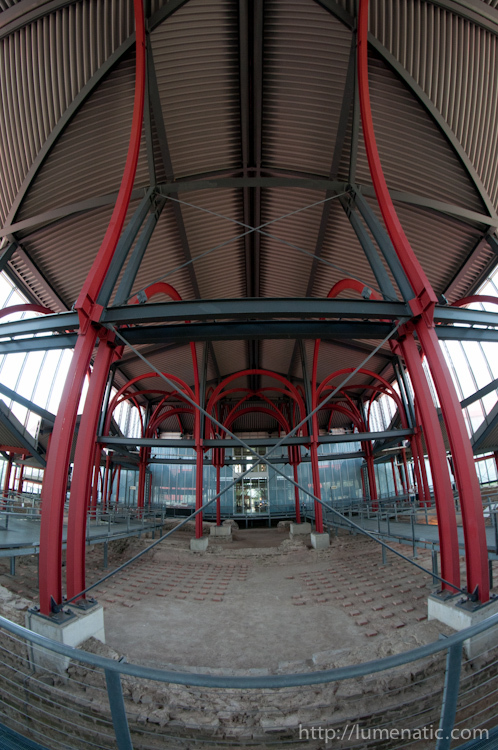 The glass and steel structure redraws the outline of the former building. Height and form of the roof have been reconstructed by archeologists using indicators like the foundation structure, spacing of pillars and thickness of walls. The remains of the thermal baths in Colonia Ulpia Traiana. 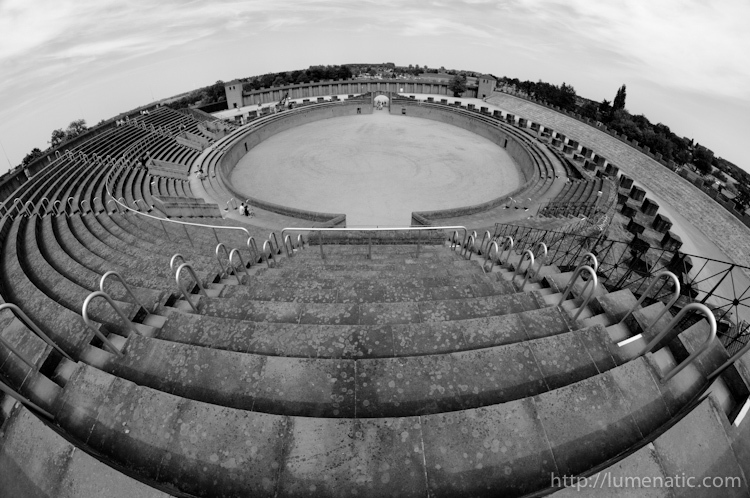 Shot with a Samyang 8 mm lens for capturing the vastness of these former baths. 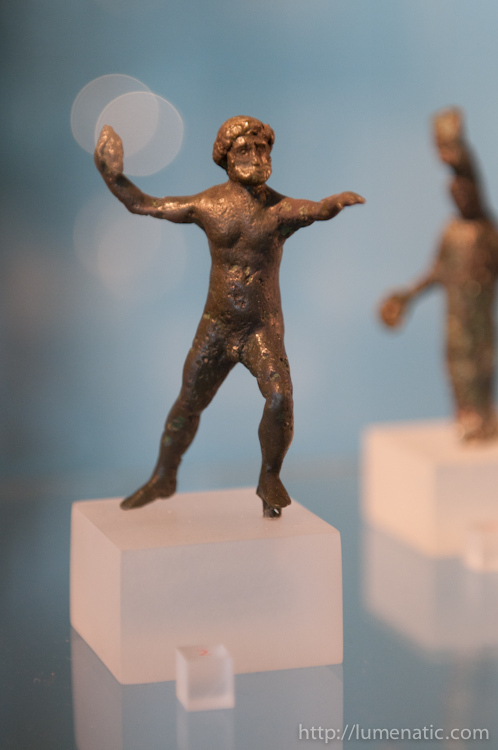 The adjacent museum displays numerous artifacts dug up in the archeological park of Xanten. 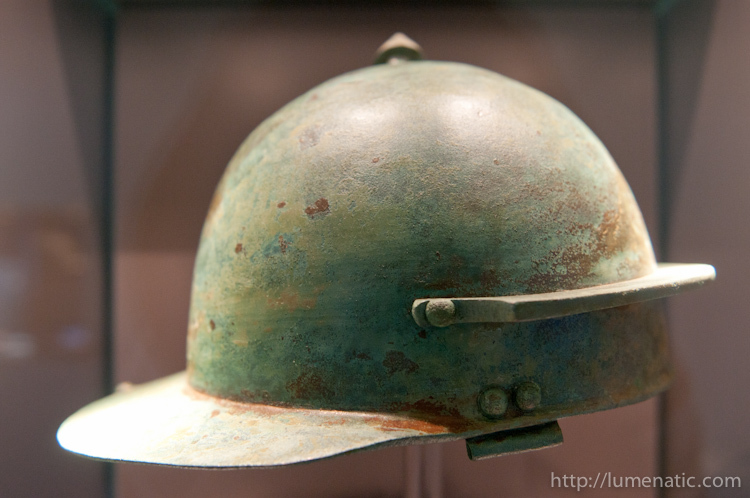 A soldier’s helmet. Considering that it is two thousand years old it is absolutely astonishing that the metal is still in such good shape. Hmmmmmm, gold ! 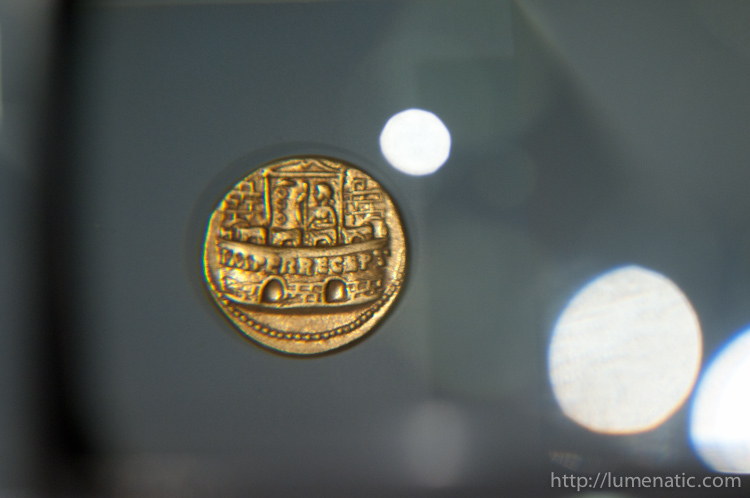 Coins coins coins have been found, and this one is a solid gold coin from roman times. A tiny figurine found in the ruins. The collisseum of Colonia Ulpia Traiana. For the amusement of the crowd (“bread and games”) gladiators fought to the death, people were executed and wild animals tore each other apart under the cheers of the common people. Well, today we have casting shows. 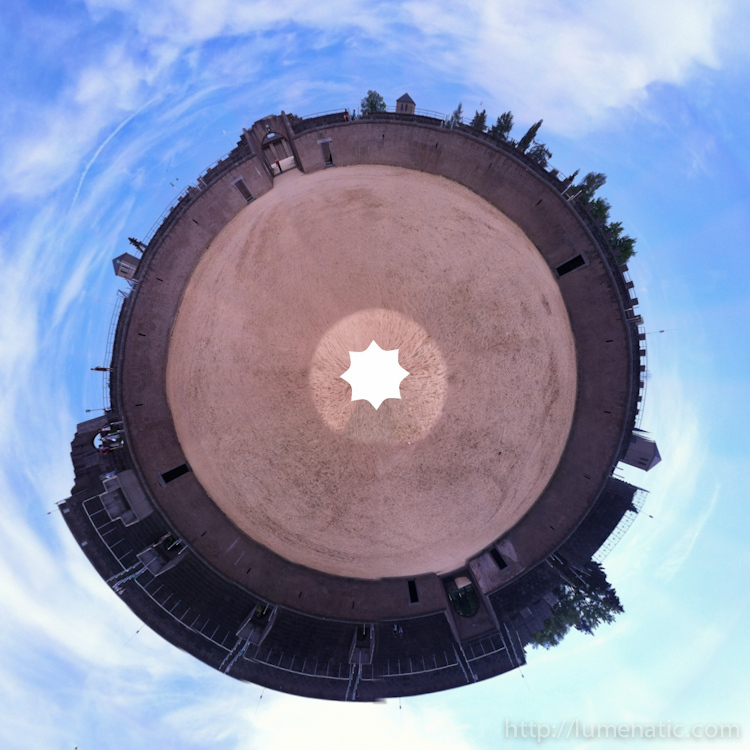 This is a shot of the collisseum, made with the 360 iPhone Panorama App. The App uses the gyrosensor of the iphone to determine which part of a panorama the iPhone sees, then automatically stitches the segments togehter. Neat, huh ? 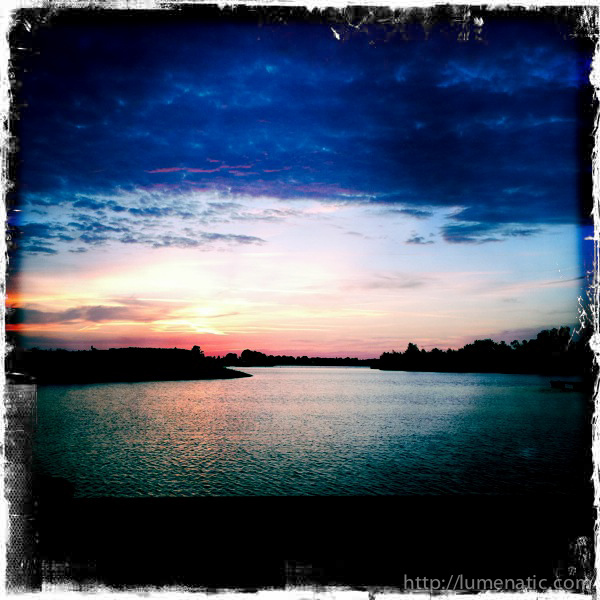 Another pic made with the iPhone, this time with the Hipstamatic App. 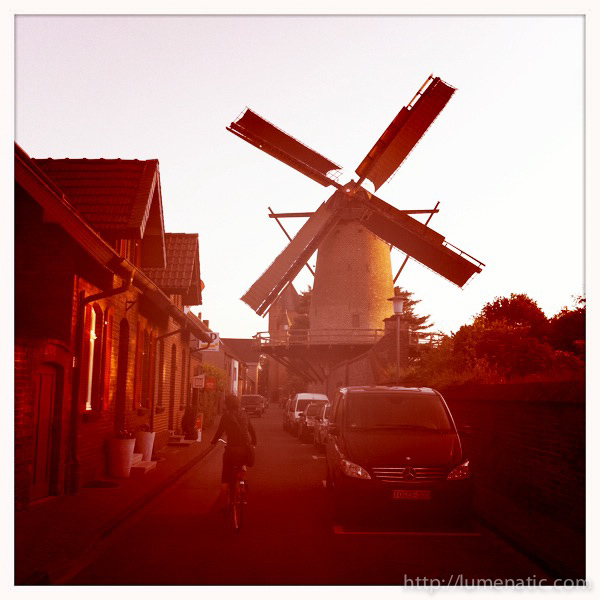 Hipstamatic allows you to choose different lenses and films and simulates how the pictures would look like. I could not go past that very German sign without taking a picture. The sign reads “Climbing the roman construction crane is forbidden”. 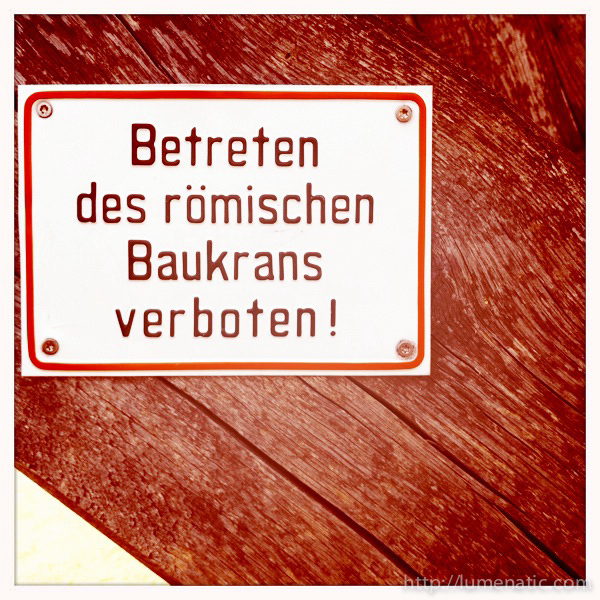 Ah, a classic “Verboten !” sign. I never feel complete without one. No post colour tweaking, the iPhone made these pics ! Finally I would like to share some last iPhone pictures. They were taken from the Xanten southern lake, a small arm of the river Rhine which was cut off.